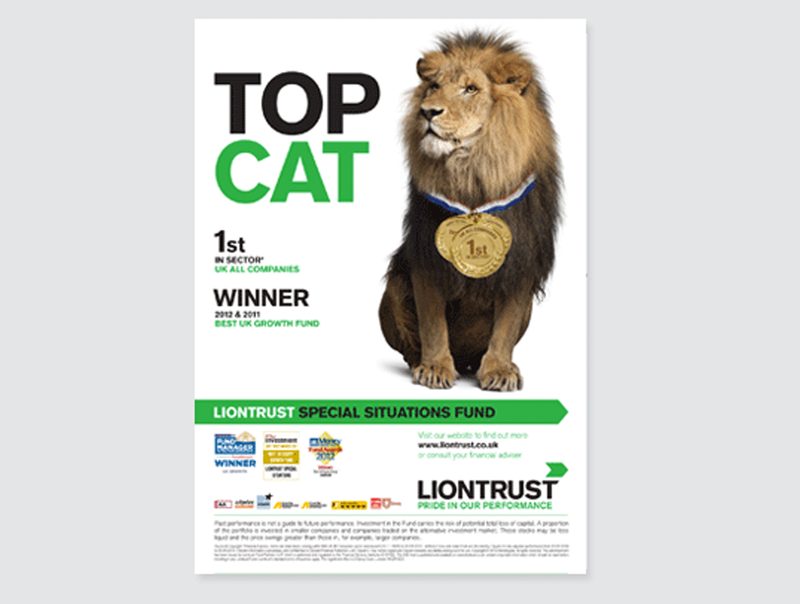 Asset Management firm Liontrust had been through an uncertain time and was going through a phase of rebuilding it’s business after losing some high profile fund managers. As part of an overhaul we pitched for and won the opportunity to re-brand them. 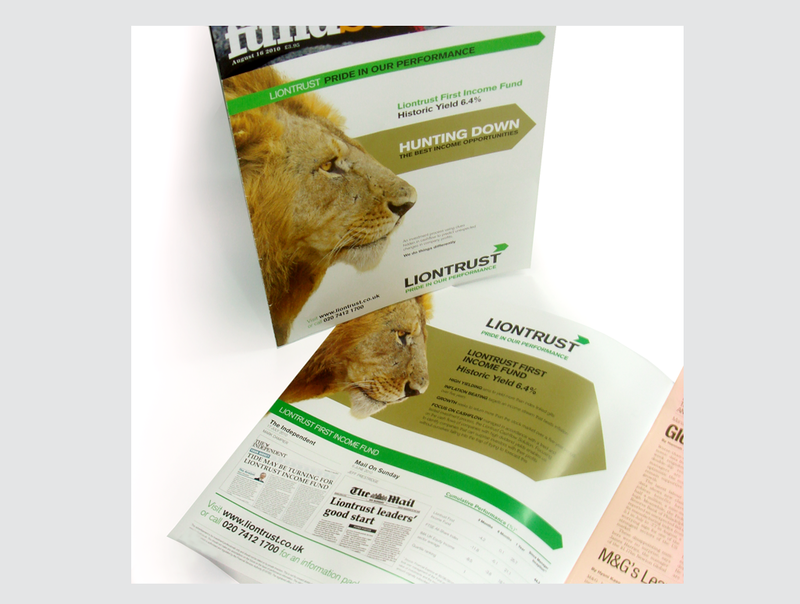 A decision was made to refine certain elements such as the typography, logo and colour palette, but to introduce a bold image of a cut out lion to jump off the page and stand out from competitors. The resulting advertising gave them a reversal in fortunes. 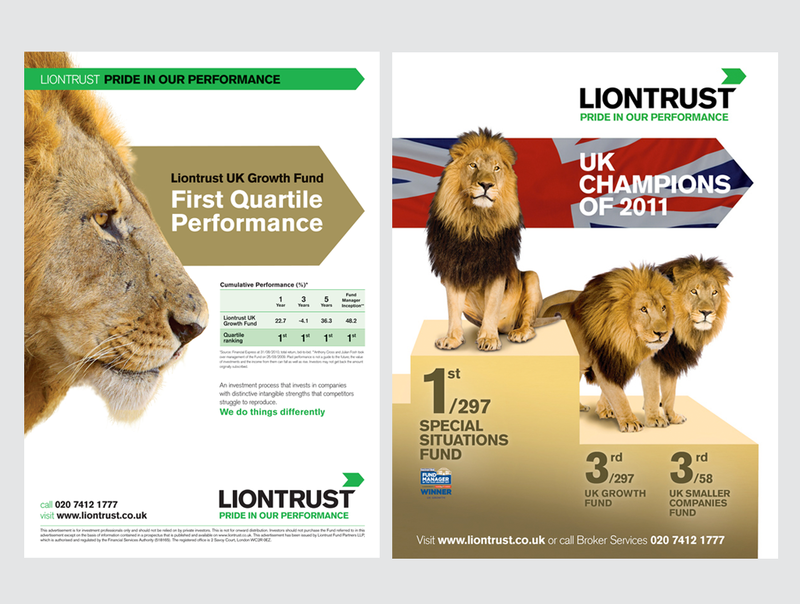 After a short phase of stabilising their presence in the market, Liontrust really took off, with their funds outperforming competitors on a regular basis – much of this attributed to the bold, confident brand.